A classic top loader with padded laptop sleeve and accessory pockets to haul everything you need in style. Product ID: 3096 Categories: Backpacks, Bags, SALE. Tags: Backpack, Patagonia. An open and shut case for lightning-fast access, the sleek Toromiro Pack has a zippered, top-loading design so you can stuff your gear in and go. 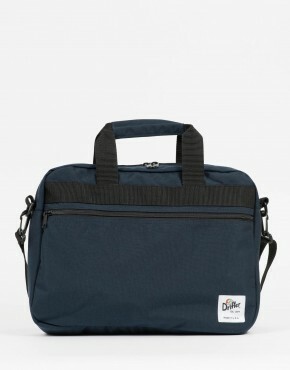 The main compartment carries a day’s worth of goods and has a raised, padded laptop sleeve to protect your 15″ computer. Two zippered external pockets, one on the lid and another on the front panel, keep small items handy. Padded Human Curve® shoulder straps provide all-day, ergonomic comfort for cruising through town or hiking through open country. Finer points include a top-mounted, reinforced haul handle, an ice axe loop and exterior lash points for a yoga pad or skateboard. Made from 600-denier 100% recycled polyester with a 200-denier polyester liner. All fabrics have a DWR (durable water repellent) finish.